All matches and events for Pistol Silhouette have been cancelled for 2018. We will be back in 2019! The CRPC range was built and Maintained by Jim Tolbert until his passing in 2012 and Dave Smith is now the Range Manager, and IHMSA Vise President. 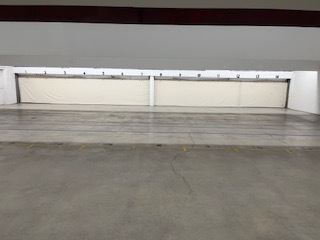 The course is as follows, big bore is the bigger targets on the left side of the range, chickens at 50 meters, pigs at 100 meters, turkeys at 150 meters, and Rams at 200 meters. When we have Matches the small bore and Field pistol are on the left, Chickens at 25 yards, Pigs at 50 yards, Turkeys at 75 yards and Rams at 100 yards. On the big bore, popular calibers are 7tcu, 7br, 30-30, 6br, 7ihmsa, 357 and 44 mag. On the small bore, it’s 22 rim fire only. On the field pistol it’s any straight wall cartridge 1.29” in length including 22 mag and 270 REN. New to the sport is Bordello pistol, same course of fire as above but its full size animals at the field pistol range. A self-defense revolver with a barrel 5” or less with open sights is used. Don’t let all this scare you or the idea of “MATCH” the feeling you get when you hear that steel ring is mighty satisfying. The People are what make the sport, no egos allowed, a great family sport. For more info or questions call or text Dave Smith 307-631-9742, or email pistolsil@cheyennerifleandpistolclub.org. Don’t forget to visit our national website at http://ihmsa.org. Really hope to see new faces this year, if you don’t have the correct gun and want to give it a shot let me know I have plenty of guns and ammo. The shooters will help you along the way. Start time for all shoots is 8 am for small bore and 9 am for big bore. For additional match dates check the IHMSA website schedule. Thanks everyone and hope to see you on the range!